Francoise challenged me to "photograph something indoors in a grungy style." I had a location in mind, but I was a bit late visiting. 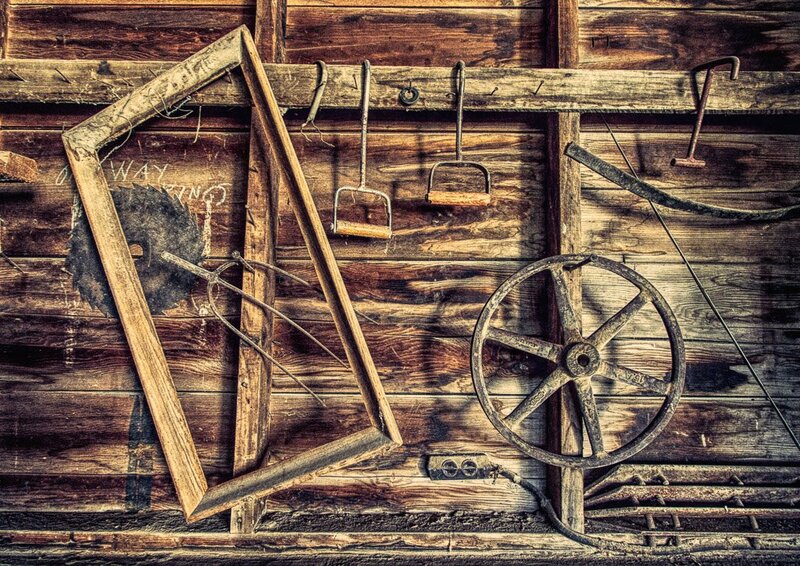 These are in an old shed/workshop at an old farmstead. I liked how this grunged up (once again, Lightroom, Color Efex, and Topaz Texture Effects). Francoise @francoise ... A bit late, but here is my indoor grunge shot. Might have to go back and play with that old frame a bit, though I like the haphazard arrangement there now. Great composition, you nailed the grungy style! @aecasey i like it. The picture has a"slice of life" quality that is quite appealing... and the grunge ethos of stuff that is just sitting around. Very neat composition and great processing. This is wonderful, lovely textures! You're right... this 'grunged up' beautifully.